The no obligation phone consultation applies to both residential and business customers in the South London area. No rabbit control job is too large or too small for us to consider. 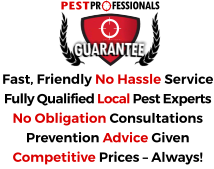 Where applicable we are able to advise on any immediate action required to safeguard your, property, garden or crops prior to a visit. If a visit is called for we let you know if there will be a call out charge and also advise on the likely costs of any rabbit control procedures should they be necessary. It’s estimated that wild rabbits cause well upwards of Ã¢ï¿½Â¤ 50millon in damage to agricultural crops in the UK every year. Indeed some estimates put the figure nearer to Ã¢ï¿½Â¤ 100 million and at times there is no choice but to control them either through exclusion or extermination methods. Rabbit populations can also fall victim to disease. The best known of these is myxomatosis, which is carried from rabbit to rabbit by fleas. In severe cases the rabbits become blind, lose body weight and experience a slow death, although there is evidence that populations are developing a degree of immunity to this disease, which was introduced to the population by man in the 1950s. Less well known is the virus VHD, which is transferred by contact and can also be airborne. This causes blood to become visible from the rabbit’s orifices, and the creatures usually die within 48 hours. Because the rabbit is a community animal, diseases can spread very quickly and swift action may be necessary simply on animal welfare grounds. Rabbit proof fencing has an important role to play, but must be erected by individuals experienced in doing so and who knows what makes an effective rabbit fence, and what makes an ineffective one. 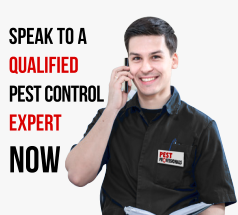 There are a number of options in terms of trapping, which one of our pest controllers can advise you on. If you need sound advice or swift solutions to rabbit problems anywhere in South London or the surrounding Boroughs – get in touch.